Pilgrim's Progress, John Bunyan's classic allegory of the Christian walk still has as powerful an impact as when it was written 300 years ago! 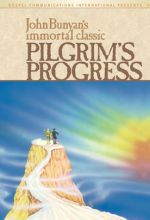 Presented in spectacular full color, this animated version is an excellent way to introduce the timeless story to children of all ages--and re-introduce its portrayal of the themes of the Christian life to adults as well. This is a brief, animated version of John Bunyan's timeless story - Pilgrim's Progress.